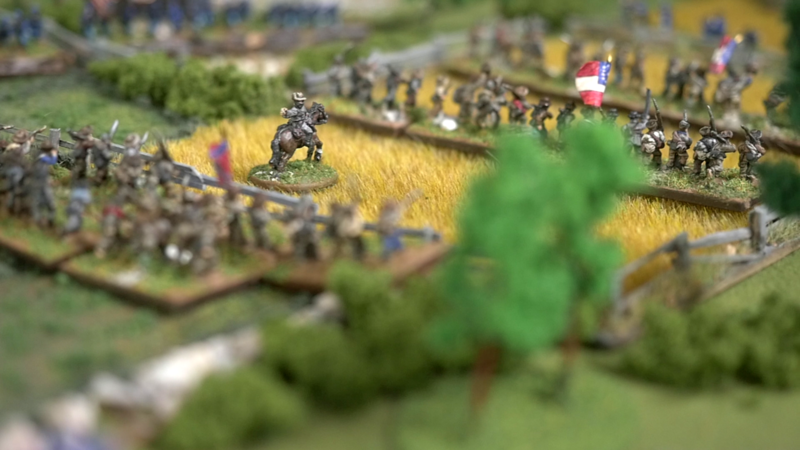 This is a video of a small diorama set up with the terrain and figures we use for our 10 mm Longstreet games. Please enjoy and leave your comments below. In my earlier posts I’ve shown pics of the units built around the excellent 15 mm Battle Honours figures by Tony Barton. This post covers some of the Old Glory and Blue Moon figures I use for my 1808 Spanish. This 15 mm model was a ready painted freebie in a magazine. I applied a wash, highlights and varnish, and based the model. Perfect for my Spanish armies. Aksu’s Black Brunswickers from his collection of 1809 figures. Essex 15 mm castings. Roundway 15 mm 1809 Austrians from Aksu’s collection. Note the hand-painted flags, as these figures come with cast flags. Duo of Airfix 1/72 Matildas crossing a bridge with some infantry tagging along.